​Located in the heart of the Cedarhurst shopping district, Andrew Lock offers respite from the hustle and bustle of your busy life. Come in and settle down with a hot cappuccino before designing a custom suit that will be made just for you by our master tailors. We feature an ever updated selection of hundreds of fabrics from top mills such as Loro Piana, Scabal, VBC, Ariston and Reda. Our suits are made individually, not on an assembly line, and all feature hand stitching and a full canvas interlining. While in the shop, you can also browse an ever changing selection of fine shoes and accessories to perfectly complement your sartorial taste. We know that you are busy and your time is valuable to us so we work on a by-appointment basis in order to give special and undivided attention to each and every client. On the same note, we offer daytime and evening appointments at our shop or in your home so that you can be fitted on your own terms, when the time is right for you. 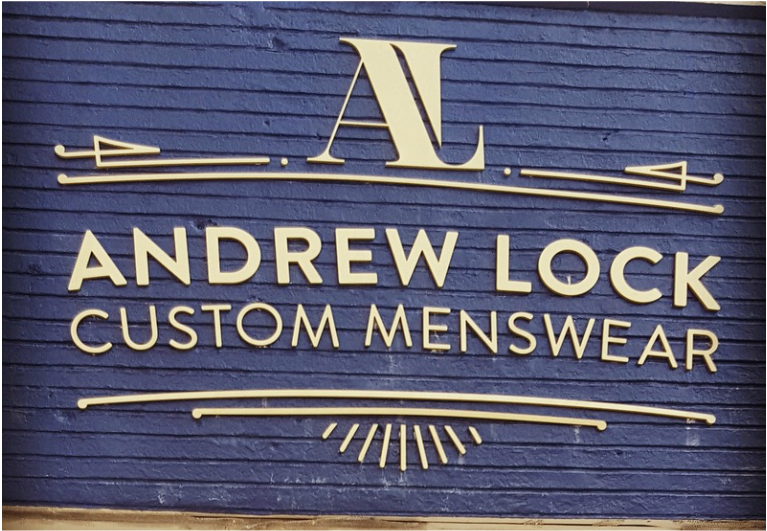 Andrew Lock also offers an image and wardrobe building service tailored to fit your career and lifestyle. We will analyze your current wardrobe to be sure that it befits your line of work, body type and personality and suggest improvements that will help you look and feel your absolute best. Come in, settle down, (sip some scotch) and take a moment to treat yourself.